Please fill out the below form completely to request information about our products. Our team will follow up with you promptly. Please fill out the below short form to validate your voucher. This guide is designed to help homeowners select the best septic tank for their needs by answering frequently asked questions about residential wastewater management systems, outlining the differences between septic tank materials, and exploring various types of septic tanks and their application in a variety of site conditions. Throughout our decades of experience with manufacturing residential and commercial wastewater management systems and working with septic system designers and excavation contractors, we have encountered – and successfully overcome – dozens of challenging site conditions, to provide homeowners in New Hampshire, Massachusetts, Maine and Vermont with reliable, safe, cost-effective and environmentally- friendly septic systems. We begin with an ideal scenario of site conditions and the corresponding wastewater management solution, and quickly transition to the most common residential needs and site situations of homeowners throughout New England, which often include challenges that require a thoughtful approach to septic system design and installation. Ideal site conditions include a wide open area with direct access to the septic tank installation site; a low or average water table; and an excellent soil percolation rate. For this situation, the most cost effective, easy- to-install, long-lasting, low-maintenance septic management system is a precast concrete septic tank and traditional leach field. Since the manufacture of precast concrete uses locally-sourced, environmentally- friendly material, this solution also supports your local businesses and economy. While excavating for septic tank placement, a contractor may encounter ledge (hard rock or granite) that prevents further excavation. His options include blasting or drilling to remove the ledge to fit the tank (both are costly and time consuming); or he may have an option to relocate the tank, but relocation typically requires that septic plans be amended, which is not ideal. In this situation, the disadvantages of fiberglass and plastic septic tanks include availability, since only a few manufacturers produce them; and size, since they are typically offered in one size per tank volume, leaving no other option if the contractor encounters a ledge situation. Solution: A shorter, shallower precast concrete tank can eliminate the need to blast or drill to fit the tank. A 4-ft tall versus 6-ft tall structure can make a major difference to the project by preventing delays and saving money. A precast concrete tank supplier that carries several in-stock tank sizes is very valuable resource. Properties near water bodies or areas with poor drainage have a high groundwater table, which can present challenging complications for septic system design and installation. In this situation, the disadvantages of plastic and fiberglass septic tanks include light weight and instability, since they can float if installation specifications are not strictly followed, including the addition of counter- weights on either side of the tank, and straps over the top of the tank to secure it. These significantly increases the size of the hole-excavation site, adding time and cost to the overall project. Plastic and fiberglass tanks must also be filled with water before the hole around them is back-filled, and can collapse when pumped out. Solution: Precast concrete tanks resist instability due to their high specific gravity of 2.4, while plastic tanks can succumb to buoyancy due to their specific gravity of .97. Concrete tanks are not required to be filled with water before back-fill is placed around them. A precast tank can also be completely pumped out without concern or risk of deflection or collapsing. Septic tanks must often be sited in vehicular-traffic areas such as a driveways, boat launches, or parking lots. In this situation, the disadvantages of plastic tanks and fiberglass tanks include low weight-bearing capacity and stability. Plastic and fiberglass tanks are not designed to withstand any vehicular traffic, as they are not buried deeper than 3 feet in the ground. Fiberglass and plastic tanks therefore limit a septic system designer and installer regarding where a tank can be placed on the property. Solution: Precast concrete tanks are available in several sizes and dimensions, and designed for a variety of traffic bearing and non-traffic bearing weights. Sizes range from the non-vehicular size H-10, designed for 3- ft of back-fill, to the traffic-bearing size H-20, designed to bear tractor trailer trucks, with 6-ft of back-fill. As outlined in the above scenario for properties with vehicular traffic, homeowners with precast concrete septic tank systems can be confident that their future renovation or landscaping needs can be met without concern about driving heavy equipment over the septic tank. Common examples of residential projects that require heavy equipment include future home additions, new pool installation, driveway paving, and improvements that require skid-steer equipment to move landscaping or building materials. Traditionally, plastic septic tanks were the only option when tank-location access was limited by steep inclines, stone walls, or barrier-like trees that impeded a precast delivery truck from accessing an excavation site to set the tank. Solution: A.J. Foss trucks are specially-designed to specifications that enable access through tight spaces to an excavated site. Our team has successfully delivered precast septic tanks to challenging locations throughout the lakes and ponds of New Hampshire and New England for more than 50 years. If a tri-axle dump truck can access the property, our trucks can too, unlike other precast manufacturers with longer trucks that cannot make the turn radius required for these sites. Small lots present a challenge because they don’t always have room for a traditional septic system involving a precast concrete septic tank and a leach field. Solution 1: In this case, an Aerobic Treatment Unit (ATU) – also called an advanced treatment unit – is often the best solution. The Norweco Singulair® ATU affords homeowners a generous 75% leach field size reduction in New Hampshire, making it ideal for small-areas. Solution 2: If the layout of your small property calls for the tank to be located below a traffic-bearing driveway or parking area, an ATU is an appropriate option, and a typical precast concrete tank with HD or H- 20 wheel loading to drive over tanks is a second option. As with small property lots, waterfront locations present dual challenges of small space and high water table conditions that often call for an Advanced Treatment Unit (ATU). Solution 1: If an ATU is required to reduce your leach field size to accommodate distance to setbacks or buildings, the Norweco Singulair ATU may be your best solution. Precast concrete tanks do not require added stability-components, such as counter-weights and straps that plastic tanks require for security and to prevent flotation. Unlike plastic tanks, precast concrete tanks aren’t required to be filled with water during installation. Precast concrete tanks may be pumped without concern of movement or collapse during servicing. When the installation instructions listed in the National Precast Concrete Association’s Best Practices Manual are followed, a precast concrete tank can be made watertight, and brought to grade with watertight risers made of concrete or plastic. For aesthetic reasons, green plastic lightweight septic tank risers and septic tank covers are commonly preferred because they blend into the yard and mask service-access points. Adding one or more bedrooms to your home may require an increase in the size of your septic tank and the footprint of your leach field. Currently, the state of New Hampshire requires a 1,250 gallon tank for a home with up to 4 bedrooms without an in-sink grinder disposal. Therefore, it would seem that you may increase a 3-bedroom home to 4 bedrooms, as long as your septic tank size is at least 1,250 gallons – but the tank is only one part of your wastewater management system. Leach field size is also based on the number of bedrooms, so an increase may require expanding the leach field footprint, which can be costly. Your local code enforcement agent can provide insight and interpret the rules for your unique situation. 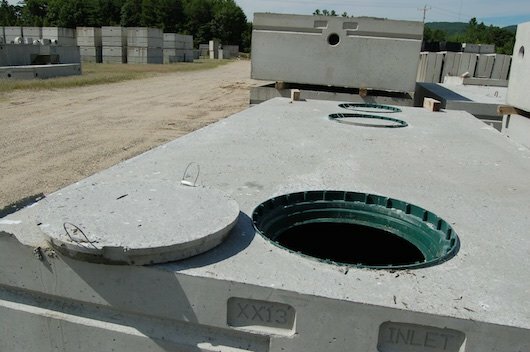 Solution: When you need to increase the size of your tank, precast concrete tanks are cost-effective compared to other materials such as plastic, fiberglass and steel, and provide several other benefits such as custom-size availability, longevity, strength, stability, and load-bearing capacity. Unless your home will be connected to a local municipal sewer system, you need to install a septic system, which typically consists of a septic tank and a leach field to safely disperse effluent into the ground. Step 1: Hire a septic system designer that is familiar with your state and local requirements to plan the layout of your septic system, prescribe the best septic tank type, size, and dimensions, and obtain any approvals and waivers that may be needed. You will need this septic plan before you can obtain quotes from excavation contractors. Step 2: Hire an installation contractor to use heavy equipment to excavate in preparation for your system, and to bring in material specified by the designer. In New Hampshire, septic system installation contractors must be licensed; other states vary. Step 3: The contractor will dig the septic tank hole and install the leach field. They will plumb everything together and schedule inspections by the state inspector, as well as the town building inspector if required by your town. Step 4: The contractor will coordinate with the tank supplier to deliver the septic tank. Step 5: The tank supplier will set the tank into the hole dug by the excavation contractor. Step 6: The contractor will back-fill everything after inspection, spread loam, and plant grass to complete the project. Many camps that were built several years ago used steel drum storage tank with a pipe leading to a homemade dry well (or even to daylight, in some cases) from which sewage was discharged directly into a body of water via a pipe installed below water level, to prevent it from being seen or smelled. Today, these old steel drums and pipes are corroded, hazardous and unsafe, and do not conform to current regulations. Solution 1: One option is to replace the outdated system with a precast concrete holding tank. A holding tank is required to be pumped out as-needed, unless a leach field is installed. Solution 2: If the camp or cottage is located on a small lot, near a waterfront, or has limitations regarding leach field location, an excellent alternative septic system is an Advanced Treatment Unit (ATU). How can I tell if my septic system is failing? Initial signs of a failing septic system include sewage backing up from drains, toilets, and sinks into the house; water draining slowly from fixtures, with gurgling sounds; pooling water or wet areas on top of your leach field or septic tank, and a bad smell originating near the septic tank or leach field. What can cause my septic system to malfunction? A vent is missing, or has been altered, or has been cut. Some strong medications, such as chemotherapy drugs, can kill the good bacteria in a septic tank. Water has infiltrated the septic tank. A cracked septic tank cover or a cracked or damaged septic tank can introduce extra water and overload the system, forcing it to process more water than it was designed to do. This can cause flooding, among other issues. Flooding causes solids that were supposed to remain in the tank to be pushed into the leach field, which will clog the leach field bed and prevent water from leaching out into the ground. Water softener was added to the septic tank. New Hampshire disallows water softeners to be added to the existing septic tank, and water softening systems are required to have their own leaching area to dispose of the water softener backwash. This backwash can contain silt, sand, brine, iron, manganese, arsenic and incidental sludge, which can be detrimental to a septic tank since it’s not designed to treat or settle out these components. Plastic chambers, if part of the leach field, may have been crushed during installation. Plant roots may have penetrated pipelines, slowing down the flow or even plugging them. A clogged inlet pipe leading from the house to the tank can cause very slow drainage. A tank inlet baffle is blocked, similar to a clogged inlet pipe. A clogged outlet baffle or clogged effluent filter can result in a sewage backup into the home, or potentially surfacing near the septic tank. This could mean that the tank is receiving too much water, likely in a short amount of time. If an effluent filter is present, it should be cleaned or replaced. If there is no effluent filter, resolution may include having the tank pumped to discover the remove the clog. Preventative measures include annual system inspection and cleaning of your effluent filter. A failed leach field (also called drain field). When your leach field fails, or is saturated with water, sewage can back up into your home. You may notice odors near the tank or drain field; wet soggy areas above or near the drain field; and bright green spongy grass above it. This could signal premature failure of the leach field due to too much solid material flowing to it. Or the system may be simply be over-mature, with no more capacity to accept waste. It may be possible, however, to dry out and rehabilitate the leach field, if the issue stems from water saturation due to excess water or floodwater overwhelming the drain field. 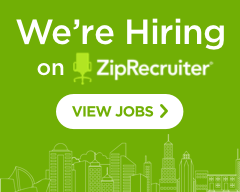 A qualified service provider can review your situation and offer guidance. How can I prevent my septic system from failing? Proper operation – Avoid or mitigate issues that can cause system malfunction, such as too much water use, and be mindful of what you flush down the toilet and rinse down the drain. Routine maintenance and inspection – Schedule annual inspections of your system, and be sure to have it pumped out as-needed (every 3 to 5 years is typical). Your local precast concrete manufacturer can provide replacement parts as-needed, including replacement tank covers, replacement distribution boxes, replacement septic pumps, pump stations, holding tanks, dosing tanks, and more. Does my septic tank need a pump station or pump-up system? When your septic tank is located downhill from your leach field, a pump station is required to push effluent from the tank up to your leach field. An effluent pump is typically specified for placement in a two compartment tank. Unlike suppliers of plastic septic tanks, a precast concrete manufacturer can provide homeowners with several tank sizes and compartment options. A.J. Foss offers custom-designed precast concrete tank sizes to accommodate the specific requirements of the state of New Hampshire. Manufacturers of plastic tanks only produce standard tank sizes for nationwide use that may or may not meet the requirements of your application. What is the most environmentally-friendly septic tank? Precast concrete is an environmentally-friendly, or “green” product made with locally-sourced materials including natural sand, stone, and water. No harsh chemicals are used in the manufacturing process. Precast concrete is also locally-delivered, unlike plastic tanks that must be shipped across the country from the few manufacturers that produce them. Since precast concrete is manufactured at a facility to strict quality standards, there is better control and monitoring of raw materials than when pouring on-site. How can I prepare to sell a camp or cottage with a septic system? A septic system inspection is required in New Hampshire before a property is sold. Many sellers of old camps and cottages are learning that their system has either failed, is failing, is non-existent, or does not conform to current regulations. A resolution can be as simple as replacing the existing septic tank, or a more extensive process. Homeowners should contact a septic designer to determine the appropriate action to bring their property to conformity. An Advanced Treatment Unit (ATU) may be required due to the size of the property, or the location of trees, well, driveway and more. Precast concrete manufacturers work closely with septic system designers to provide a wide variety of septic system components, such as ATUs, precast septic tanks, leach field components, access risers, pump boxes, pumps, distribution boxes, and more. In support of value engineering, a septic tank made of precast concrete costs less than other materials such as fiberglass. Concrete increases in strength over time, unlike other materials that tend to weaken and deteriorate, such as high-density polyethylene (plastic) and steel. The service life of precast concrete has been shown to be in excess of 50 years, which makes it an ideal material for producing long-lasting, durable septic tanks. The specific gravity of concrete enables it to resist buoyancy – unlike plastic and fiberglass – making precast ideal for below-grade construction, without any added time and expense of steps to secure it. Concrete’s noncombustible nature makes it ideal for use in many applications. When produced in a controlled environment, precast concrete is manufactured to high standards of quality and uniformity. Concrete does not degrade from exposure to sunlight like some plastics can. A green building product, concrete is locally-made from environmentally-safe and natural materials. Precast concrete is well-suited to all types of weather conditions, which is especially important for septic systems installed in New England’s seasonal climate. When installed with high quality sealants, precast concrete septic tanks provide watertight performance. Precast septic tanks install quickly, with simple connections and low susceptibility to damage during backfill. Concrete is also easy to pump out, without a concern or risk of the tank becoming deformed. Precast concrete is produced by hundreds of manufacturers across the nation. Choose a reputable, local manufacturer of quality precast for your septic system. By nature, precast concrete requires low maintenance. For example, septic tank cleaning does not require the use of special equipment for buoyancy or other qualified ground conditions.